This is the sixth post in the series “Great Grains," highlighting unusual whole grains and easy ways to incorporate them into your diet. Check out posts on barley, bulgur, millet, rye, and corn as well. In my plight to make this year all about whole grains, I’ve shared some kitchen success stories. Barley now ranks up with spaghetti and meatballs as one of my favorite comfort foods of all-time. But I’ve also had some not-so-promising run-ins with whole grains this year. Teff was definitely one of those not-so-promising ones. 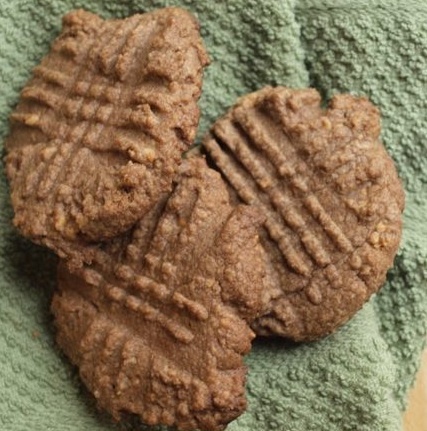 To date, I’ve tried nearly a dozen recipes with teff and there’s still only one way I really enjoy it (as a substitute for all-purpose flour in baked goods, like in the Gluten-Free Teff Peanut Butter Cookies, recipe below). My husband, on the other hand, was hooked right away by teff’s nutty, molasses-like flavor and now eats it by the bowlful. So, while I am still not satisfied with the teff recipes, he’s approved all of them with a gold-star. Rather than somewhat falsely blathering on about a kitchen success story and how I came to love all things about teff, I thought I’d share what I’ve tried and leave it up to you to decide. If you’re already a fan of teff, please add your comments and help me with some new ideas on the best recipes to try. If you’re new to the whole grain like I was, you can try a recipe and give a thumbs up or down in the comments section. Maybe my kitchen disappointment will be your next big kitchen success. Teff is one of the smallest known grains in the world, about 1/150th the size of a kernel of wheat. It’s thought to have originated in years 4000 – 1000 B.C. and is the primary grain for many African countries, particularly Ethiopia. Most Americans are familiar with teff through injera, an Ethiopian sourdough bread made by fermenting teff flour in water for several days. It has remained popular in developing agriculture economies for its tolerance of poor soils and growing conditions. Teff sprouts in only 36 hours, and just one pound of teff seed can plant an acre of grain; by comparison, it takes more than 100 pounds of seed to plant an acre of wheat. Although I’m still not sold on the flavor of teff, it’s hard to argue with the nutritional benefits. 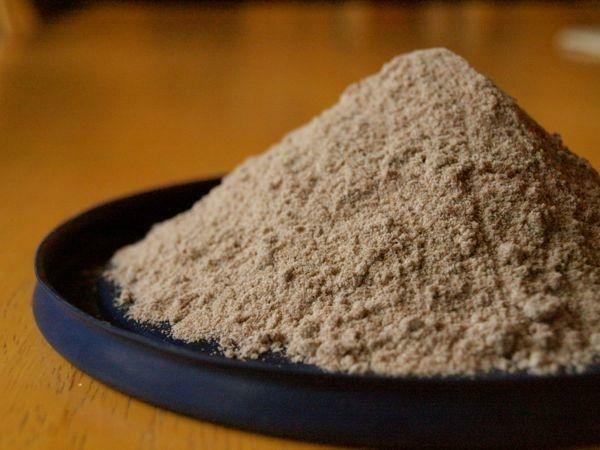 Because teff is so small, it’s nearly impossible to mill into a non-whole grain form. It can be ground into flour, but all of the outer covering, germ, and starch are included. No need to check the label or wonder if what you’re buying is truly whole grain; with teff you’re always getting the full benefit. Those benefits include a gluten-free grain that is high in protein and fiber; and, unlike other grains, teff is also loaded with calcium. Teff PorridgeWhat do I do with it? Here’s some ideas to get you started with teff, and as mentioned above, please feel free to share your ideas in the comments section. · Injera – Ferment ¼ cup of teff flour and ¾ cup all-purpose flour in 1 cup of water for 2-3 days. Add a pinch of salt and cook the injera in a thin layer on a large cast-iron skillet. Cook until the classic bubbles and holes appear on the dry surface. · Teff Crepes with Spinach and Mushrooms – Sauté 1 cup of fresh mushrooms and 3 cups of roughly chopped spinach. Add Parmesan and serve over a warm crepe made from a thin teff pancake. · Gluten-Free Peanut Butter Cookies – Mix 1 ½ cups of teff flour with an egg, 1 cup of crunchy peanut butter, oil, and maple syrup for a simple gluten free peanut butter cookie. · Teff Polenta – Perfect for anyone with corn sensitivities. Make polenta from whole teff. Add 1 cup of teff to boiling water (2 cups) and milk (1 cup) mixture. Reduce heat and simmer for 20 minutes until teff thickens. Serve with onions, green peppers, and tomatoes for a quick dinner or side. · Gluten-Free Pie Crust – Add 1 cup of chilled teff flour to ¼ cup of ice water and 3 tablespoons of oil. Hand press into a 9 inch pie plate, add filling and bake according to recipe or bake 12 minutes for an empty shell. · Gravy Thickener – Add teff flour 1-2 tablespoons at a time to any gravy to thicken in lieu of flour or cornstarch. 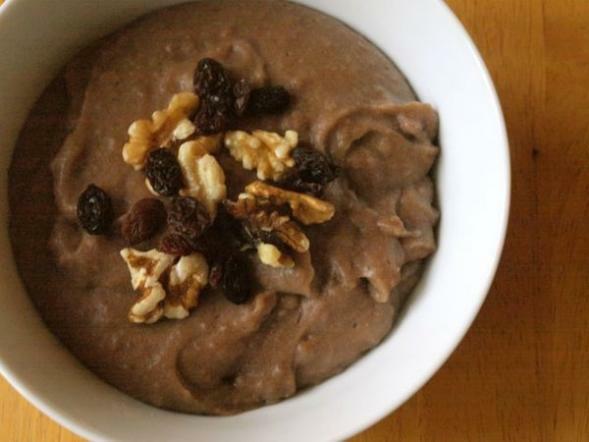 · Teff Porridge – Boil 1 cup of whole grain teff in 3 cups of boiling water for 3-10 minutes until mixture is thick, add more water if necessary to reach your desired consistency. Remove from heat and top with walnuts, raisins, honey, or maple syrup. Amy Sippl is a frequent contributor to Simple, Good, and Tasty. She grew up in rural Wisconsin, but now calls St. Paul her home. 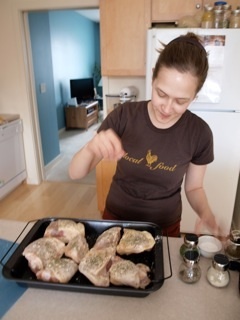 She writes about her successes and struggles to eat and grow local food on her blog: Minnesota Locavore. Her last post in the Great Grains series was Barley, the Perfect Food for Health Ninjas.